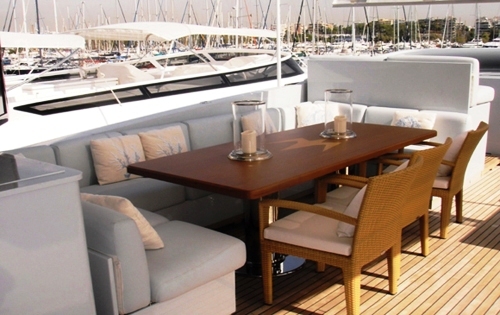 Charter yacht ROVAN features spacious outdoor areas including a generous aft deck with an al fresco dining table with stairs leading down to the swim platform and stairs on the starboard side leading up to the spacious top deck that features a large table, large sun pads aft, a BBQ, lounge area and a large flat screen TV. 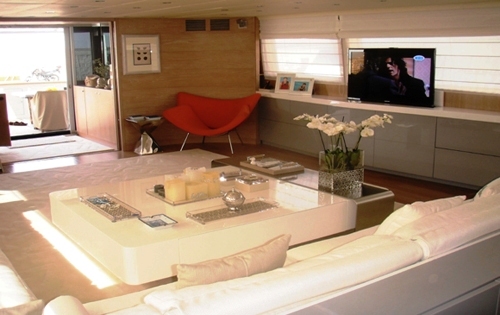 Motor yacht ROVAN also has a well thought out interior with a large and modern salon filled with natural light with an adjoining dining area. 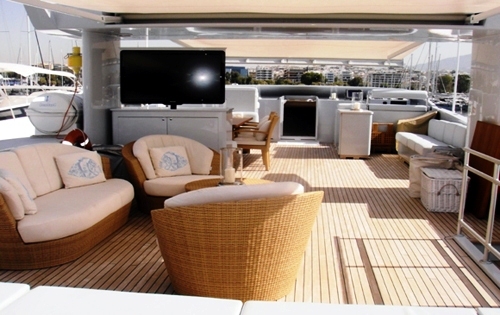 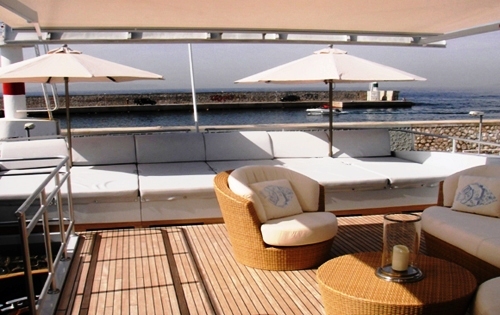 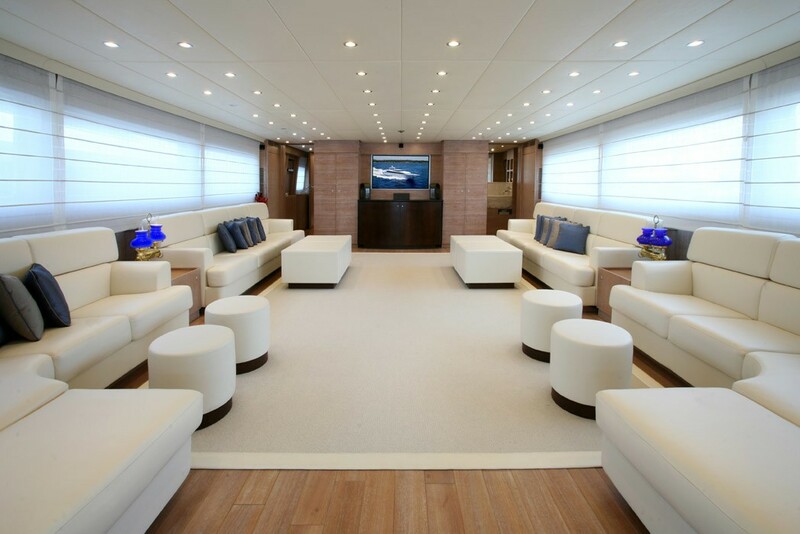 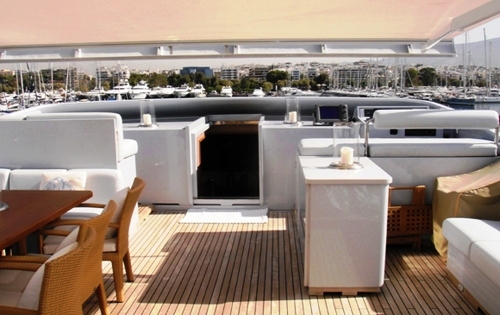 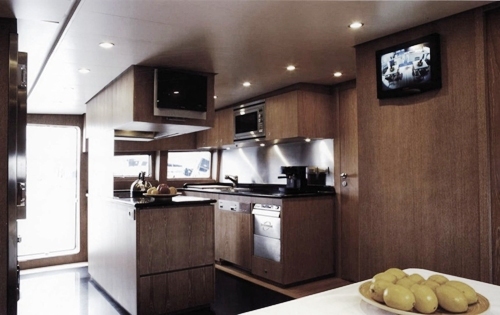 M/Y ROVAN is able to accommodate up to 11 guests in 5 cabins. 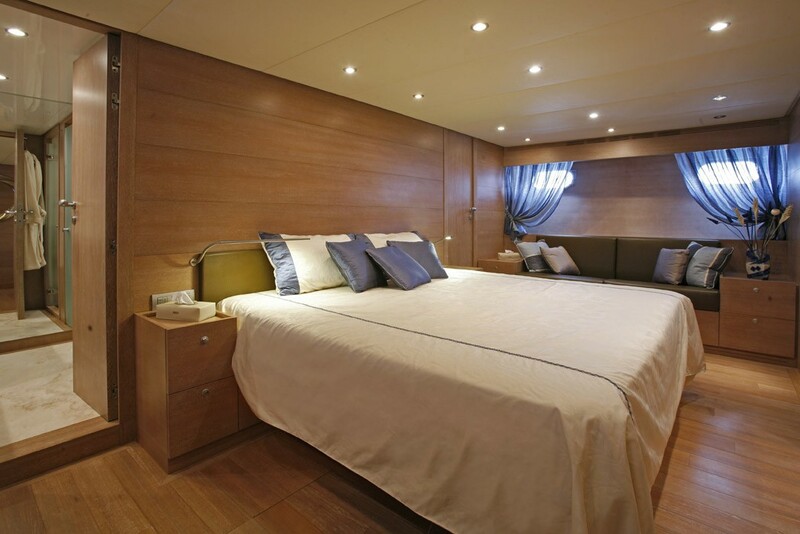 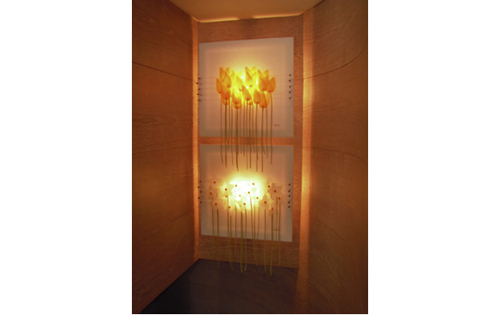 Her Master cabin featuring a king size bed, is located on the main deck. 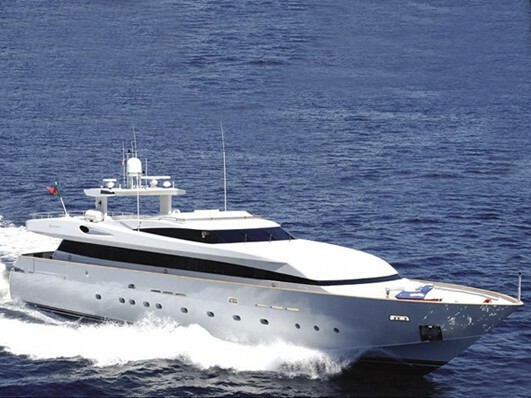 There are two VIP cabins, with queen size bed and ensuite facilities and two twin cabins with ensuite facilities, one with a pullman bed located on the lower deck. 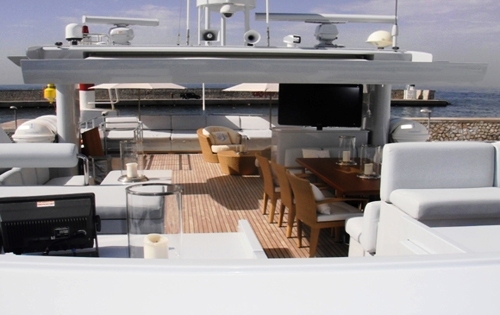 Luxury yacht ROVAN has the a great selection of watersport toys for charter guests to enjoy including a 4.30m tender with 60hp Yamaha 4 stroke engine, a 2.50m tender with 4hp Yamaha 4 stroke, a 3 seater jet ski Yamaha VX cruiser 120hp, a jet ski Yamaha FX 80hp, 4 tubes, a banana, a wakeboard, 2 pairs of adult water skis and Snorkelling equipment. 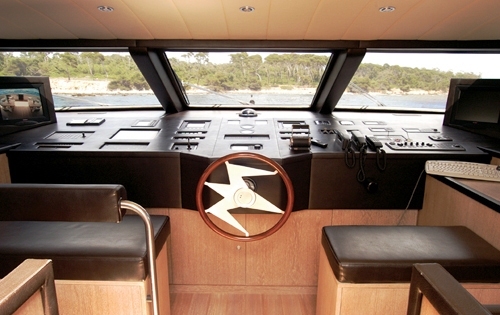 Charter yacht ROVAN is able to attain speeds of 27 knots thanks to her 2 x 2735hp MTU S400 M90 engines. 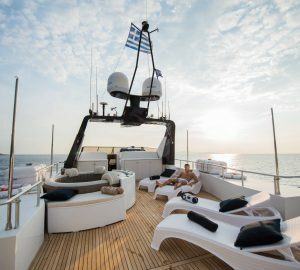 Her crew of 7 know the Greek waters well and are looking forward to welcoming you onboard. 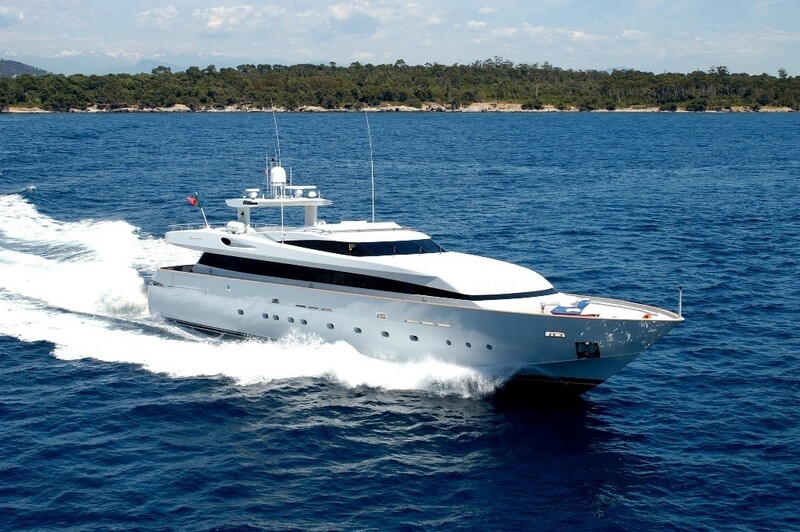 Luxury Baglietto motor yacht ROVAN is able to accommodate up to 11 guests in 5 cabins. 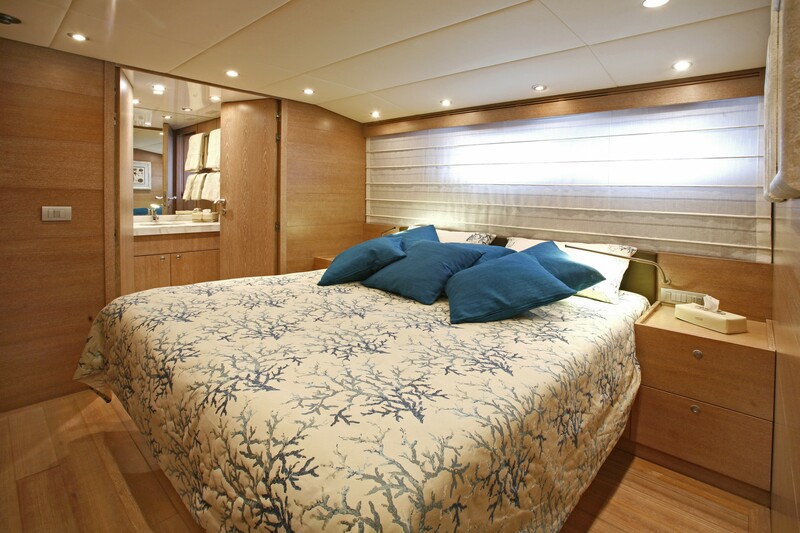 Her Master cabin featuring a king size bed, is located on the main deck. 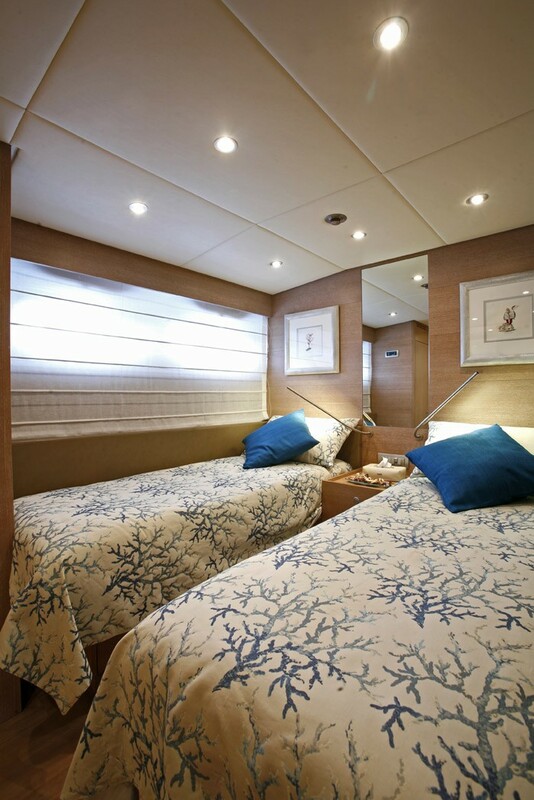 There are two VIP cabins, with queen size bed and ensuite facilities and two twin cabins with ensuite facilities, one with a pullman bed located on the lower deck. 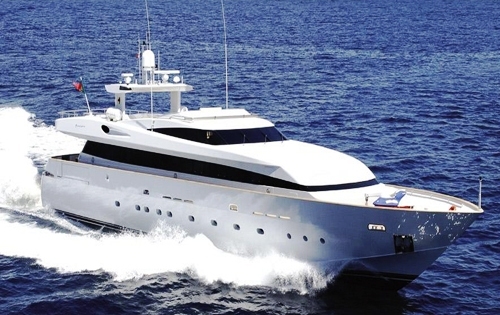 M/Y ROVAN has the following extras and amenities onboard: Tenders and Toys include a tender 4.30m 60hp Yamaha 4 stroke, a tender 2.50m 4hp Yamaha 4 stroke, a 3seater jet ski Yamaha VX cruiser 120hp, a jet ski Yamaha FX 80hp, 4 tubes, a banana, a wakeboard, 2 pairs of adult water skis and Snorkelling equipment.